Marketers, are you tracking your content the right way? While marketers and brands spend millions of dollars creating videos and content, they often forget the important step – amplifying the content. 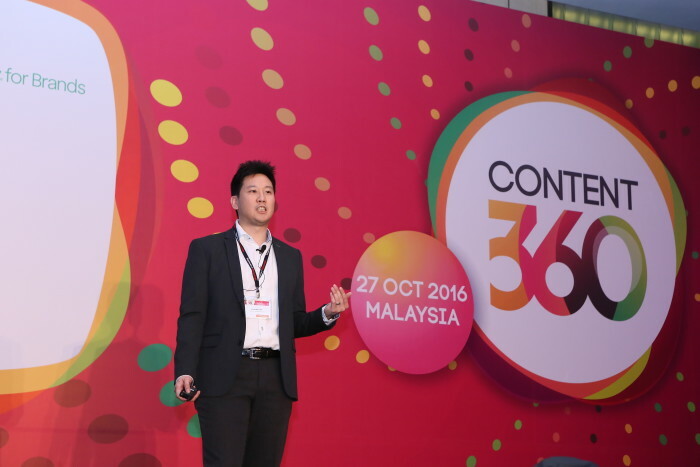 Jonathan Ye, head of social for mobile and emerging technologies at Marriott International, who was speaking at A+M’s Content 360 conference, however, highlighted that simply relying on organic reach hardly works in today’s world. Be it through use of influencers or paid media, marketers need to extend their reach. “If you don’t pay, you won’t reach anyone. Organic reach doesn’t happen as much anymore. […] You need to create content, amplify it to reach new people and then retarget them to drive ROI for your organisation,” Ye said. Marketers need to optimise, measure and track the success of their campaigns, is now a must. Ye added that at the end of the day, content needs to resonate with people. But many a times, we also see companies trying to trend-jack for the sake of trend-jacking. They create content that doesn’t mean much to their organisations or targeted audience, said Ye. That can result in backlash. One such example he gave was in Singapore, when train operator SMRT jumped on board to congratulate Olympics gold medalist swimmer Joseph Schooling, when he won Singapore’s first gold media at the Rio Olympic 2016. The post highlighted his speed in swimming which resulted in commuters complaining the Schooling was quicker than the train service. Therefore, it is really vital for the brands and marketers to create content that really matters and is relevant to the audience they are targeting. And not just for the sake of it. So how do you know when is the right time to create content? A good content strategy will involve knowing your customers, creating smart content and then connect everything, explained Ye. This also means crafting content that people actually care about and love.This can be done essentially by using data, and “listening” to consumers to uncover opportunities to engage with audiences. “It is about creating authentic stories and working with locals be it baristas or fashion designers. And then, creating content around that. Today it is about creating content that adds values. It is no longer just about the brand first,” he said. But while everyone knows the importance of authentic content, not everyone is able to create it well enough. Ye said the first step is always to build an emotional connection with them. Then, use data to get insights to understand who and where your customers are via platforms such as websites, app and CRM. He added Facebook is one company that does it well. “It’s a great advertising platform and no longer just a social media network,” Ye said. Social listening tools will also help in finding trends. In terms of search intent, marketers can also ask Google to obtain data such as places where people want to be the most and create content around that, Ye added. Christopher Ross de Cruz, Edelman’s associate director of corporate reputation, who was also on stage during the conference said that brands need to be rigorous in listening to people that really matter. “You can’t just have a content process and ignore everything else around you,” de Cruz said. Also while relevancy matters, so does the time, place and the mood. This was expanded further by Sea Yen Ong, vice president of sales at Spotify who said the holy grail of content marketing, is about creating and bringing the right content together at the right time on the correct platforms. “You can talk to someone at the right time, but they might not have the right mood to listen. Listeners care about sound tracking moments, so do brands,” said Ong. Content, the low hanging fruit? As such she encouraged brands to play around with new content ideas with new audiences while retaining brand identity. “If you are growing a brand, you don’t want to be the guy spending money but not getting anywhere,” she said. She added the diversity is needed in a team and as such, brands marketers shouldn’t be afraid of hiring the young or those from different backgrounds. They add a fresh perspective. Elina Roslan, senior manager of group marketing at Proton Holdings said when Proton created its latest content push with local celebrities, it was experimenting a new way of doing things and did not have any set ROIs. For Proton’s latest campaign for Proton Persona, the Malaysian car brand kept to its Malaysian DNA and featured popular local actors Fazura and Zul Ariffin to promote the car. The duo star in an action-packed short film. directed by Ghaz Abu Bakar. The promotional video which is 4 minutes and 35 minutes, shows the two actors as undercover agents on a mission to steal Proton’s latest Persona which they plan to use to create a viral video. “We were not sure of the kind of reaction that we will receive from the community. People will either love it or hate it. It was a never-been-done-before approach to selling the USPs of a car,” she said. Ultimately, she added,results were overwhelmingly positive. The Evolusi Persona teaser and short movie garnered 2.2mil views, over 27K shares, 97K reactions and we gained over 10k new fans in Facebook just within that month alone. She added for her brand, Facebook is the go to platform where content is served, and the brand uses engagement rate and shares as key measures of success. Also on the same note, Fionn Hyndman, commercial director of Asia Pacific at Outbrain said if brand marketers don’t share your goals with their business partners, chances are those goals will not be met. As such an open conversation is necessary. “Don’t fly blind, it’s all about post click analytics,” he said.